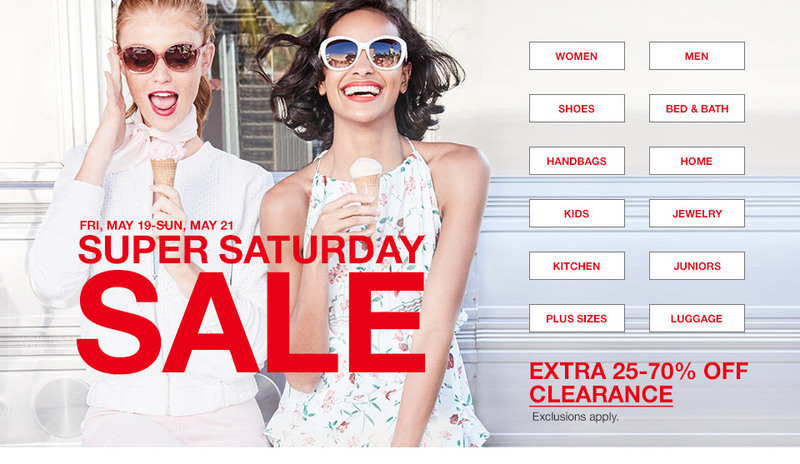 As if the Super Saturday Sale wasn’t good enough already, I have TWO ways for you to save during the May Super Saturday Sale at Macy’s. With this month’s Super Saturday sale, you can save an extra 20% simply by using the coupon code below. But did you know there’s an extra way to save? That’s right, you can save up to an extra 25% off the already low Macy’s prices just by adding this $3 shopping pass to your cart. Because 100% of your $3 will benefit the Y and its camp scholarship programs. Camp provides new experiences, builds confidence and develops skills that kids take back to school. It doesn’t get much better than that: camp for kids and savings for your family! 2. Give $3 to help kids attend summer camp at the Y, and you’ll save and extra 25% off. And while you’re at it, don’t forget to enter the #MagicAppreciation Giveaway going on through May 20!